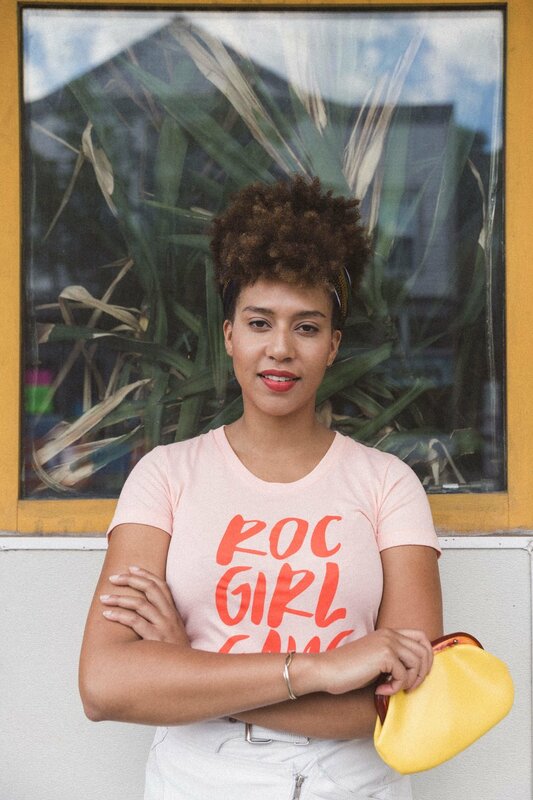 We are so exited to introduce our new "Roc Girl Gang" tee and "Lady Business" tote! 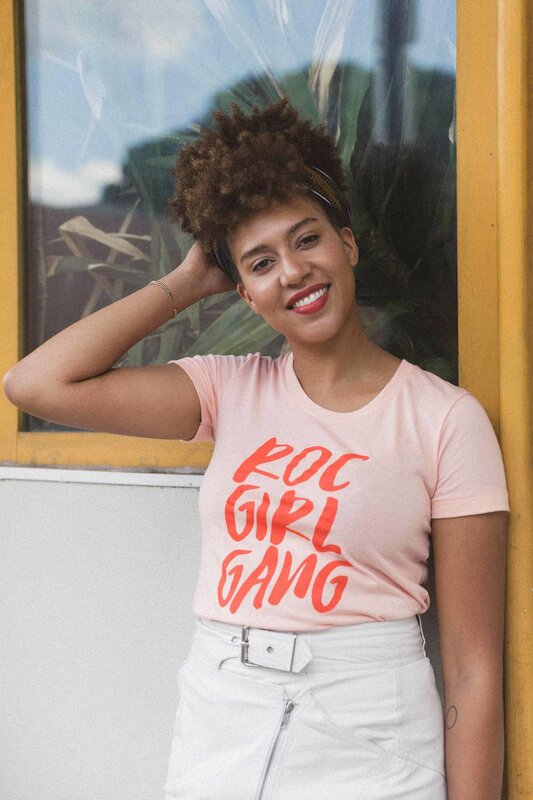 It was designed by Roc Girl Gang founder Sarah Knight and locally screen printed on apricot colored American Apparel shirts by Tiny Fish Printing. 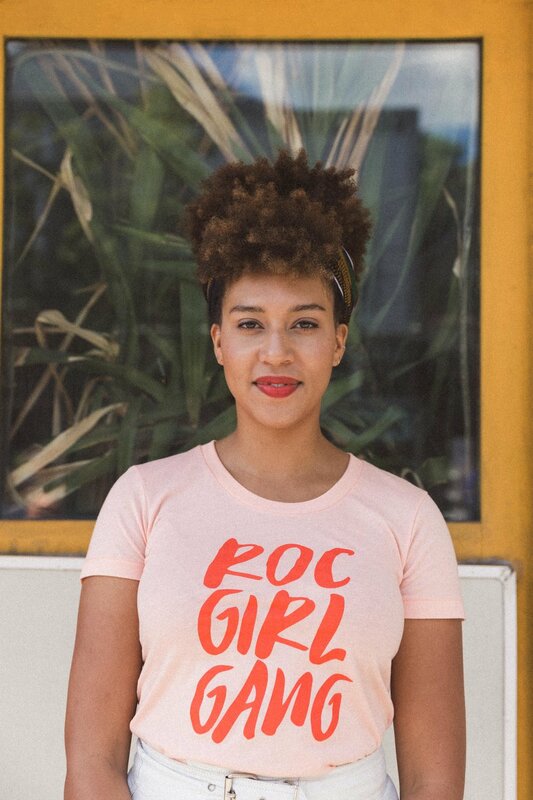 We're showing it off today with the help of some of our talented friends, photographer Jacalyn Meyvis and model Shelby Zink. 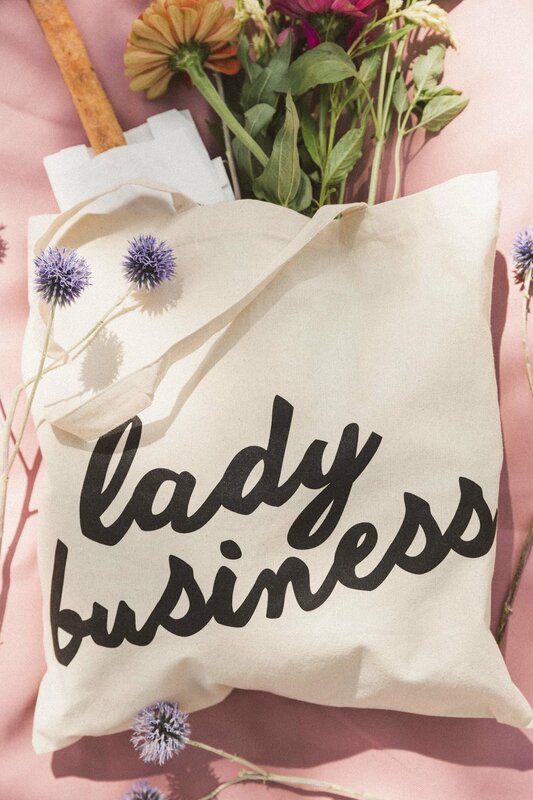 They squeaked in this shoot while it was still summer (sigh) and we couldn't be more thrilled with the results. 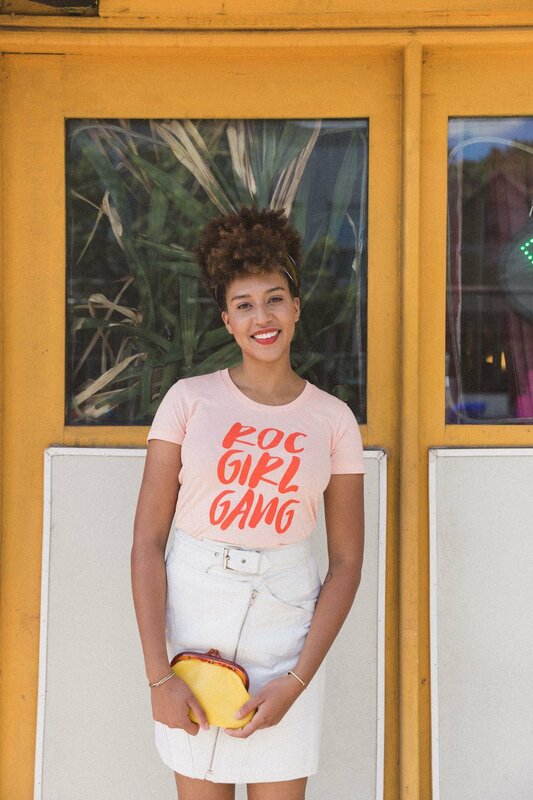 And please note: the new tee is much more fitted than our "Support Your Local Girl Gang" tee is. Size up for a bit of a looser fit, our lovely model Shelby is in a medium.